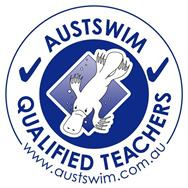 Exclusive Water Quality - Get Wet Swimming - Murwillumbah Nth Coast. Get Wet Swimming in Murwillumbah has undergone a major makeover in the pump room. A new filter medium with recycled silicon dioxide (glass) is a much better alternative to both silica (sand) and zeolite. The smooth surface of glass discourages bacterial growth within the filter cell, thus offering a superior clean and a must for the swim school. Get Wet has also found an alternative to chlorine to disinfect the pool. OZONE has long been known as the best way of disinfecting water when pure water is required. The upgrade has created an 80% reduction in chlorine in the pool and made it a cleaner and safer environment for children. For all teachers working constantly with chlorinated water, the dry, itchy skin and associated rashes always proved a harsh discomfort. At Get Wet Swimming, the change has been remarkable, with our customers and staff both revelling in the softness of their skin and hair. What an enormous difference to our wellbeing – we draw great comfort from the knowledge that ozone is currently the most powerful oxidizing agent in commercial pool use. OZONE kills bacteria, viruses and protozoa such as giardia and cryptosporidium organisms, that can cause severe gastrointestinal illness. It is much more effective in killing these organisms than chlorine. There are a high number of young babies and toddlers at the swim school, so with the water quality nearing compliance with the standards of drinking water, we feel safe in the knowledge their sensitive skins and their health will not be at risk. Julie and David (the proprietors) are very proud to bring these changes and are convinced this is the way of the future for the swim industry.